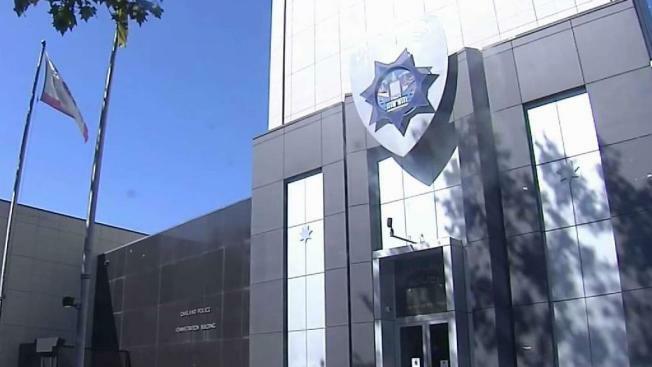 A long-time organized crime investigator in Oakland is the target of a federal investigation of racketeering and extortion, NBC Bay Area has learned. Retired Oakland police Lt. Harry Hu recently quit his job as an Alameda County District Attorney Office inspector amid what sources described as a lengthy FBI probe into suspected corruption. Veteran investigators describe Hu as a legendary Asian gang investigator who was a first member of the Oakland Police Department’s gang task force. Hu was even deputized as an FBI agent as he probed Asian gangs in Oakland and San Francisco back in the 1990s. In a 2010 radio interview with KALW radio in San Francisco, Hu recalled his work targeting the Wo Hop To, which had formed in Oakland’s Chinatown at the time. The gang was suspected back in 1991 of going door to door to extort victims, Hu said in the interview, which prompted federal intervention. “We were deputized as federal agents for the FBI. So we cross-designated and we could literally go anywhere, you know, within the U.S. and we would have authority as a federal agent,” Hu said in the radio interview. After retiring in 2006, Hu worked for more than a decade helping Alameda County prosecutors build high profile cases as an inspector for the District Attorney’s office. Teresa Drenick, spokeswoman for that office, had no comment other than to confirm Hu’s recent departure. “He is no longer employed at the office,” she said. Sources say that federal authorities began to suspect Hu based on evidence gathered from a lengthy wiretap investigation into the notorious Asian gang figure, Raymond “Shrimp Boy” Chow. Chow is now serving life for racketeering and for arranging the murder in San Francisco of a Chinatown rival, Allen Leung, back in 2006. Sources say federal authorities believe that Hu may have known in advance of the attack on Leung, which allowed Chow to take over as the “Dragon Head” of a tong, or fraternal organization, in San Francisco’s Chinatown. Hu’s lawyer did not respond to requests for comment. Editor’s note: This story initially included a video that incorrectly identified another person as former inspector Harry Hu. The photo, and video, have now been corrected and updated.